Brand new laptop... complete and ready to use! Thinking about buying a BTrackS unit but don't have a dedicated computer that you can use at your senior center or office for remote testing? We offer the solution! 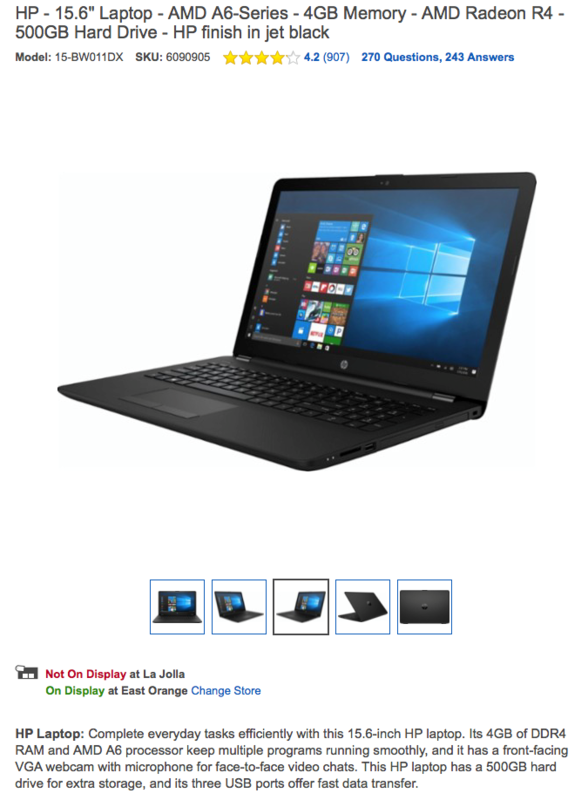 This brand new 15.6" HP laptop is ready to use right out of the box. Comes pre-loaded with the BTrackS software so you can begin testing right away. Runs on Windows 10 with Microsoft Edge Browser and Adobe for PDFs. Three USB ports. Very powerful, simple, fast, and efficient. This HP laptop has 4g of RAM and a 500GB hard drive. 1 year warranty included. Just turn it on!